The lack of time before the sea laps back in can sometimes make the hunt for sea creatures a bit of a frantic affair. Add eager small children to the mix and the clock is ticking. After a busy week, I took the time to stop and stare and it paid off. 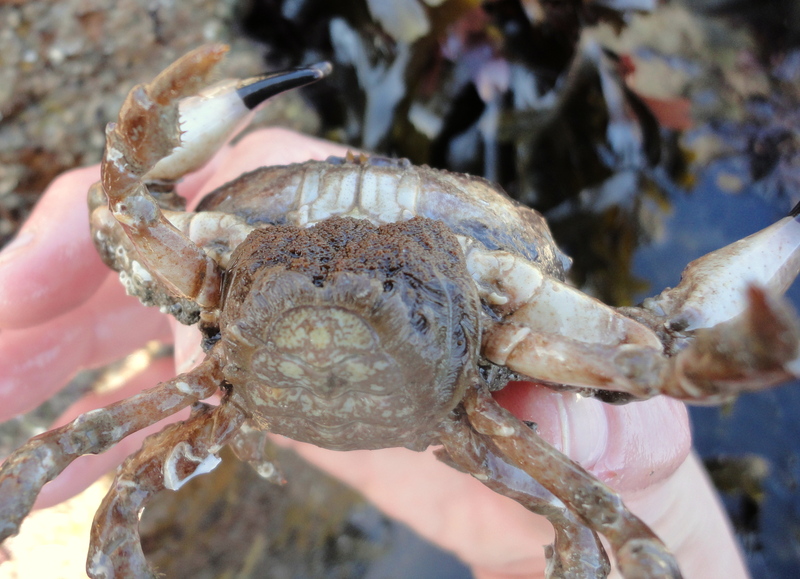 The wide blue skies gave us perfect conditions for taking our Easter visitors and their children rock pooling this week and I’m pretty sure they weren’t disappointed. 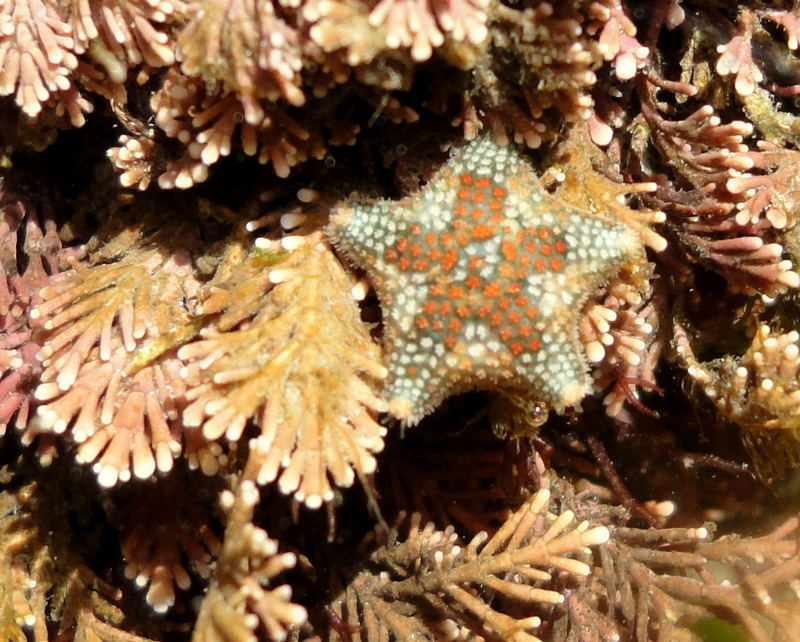 A quick search was enough to find starfish, blennies, crabs and shells to wow our guests. 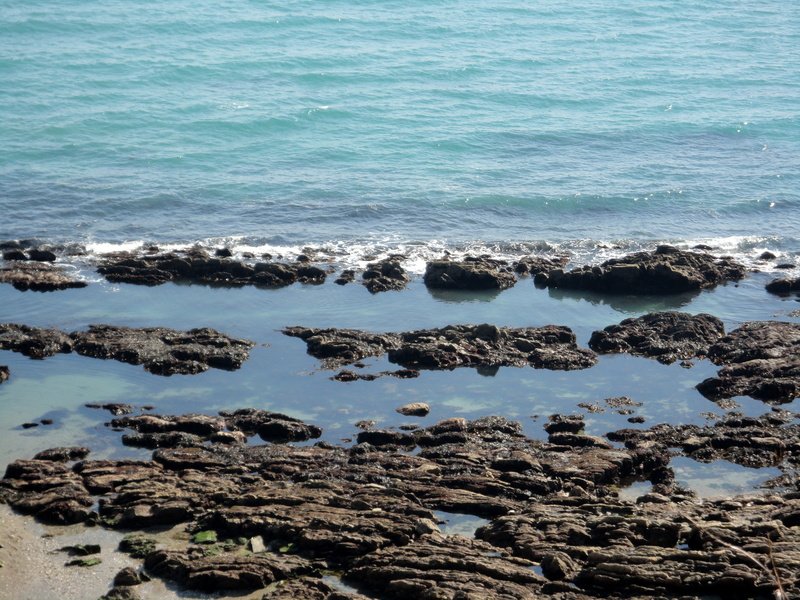 Inevitably a child fell in a rock pool – but fortunately it was fearless Cornish Rock Pools junior. He was already shouting, ‘I’m all right,” as I hooked him out and he ran off to climb rocks as soon as I’d wrung out his coat. On Monday, another set of visitors arrived with their teenage boy, so the pace was suddenly less urgent. 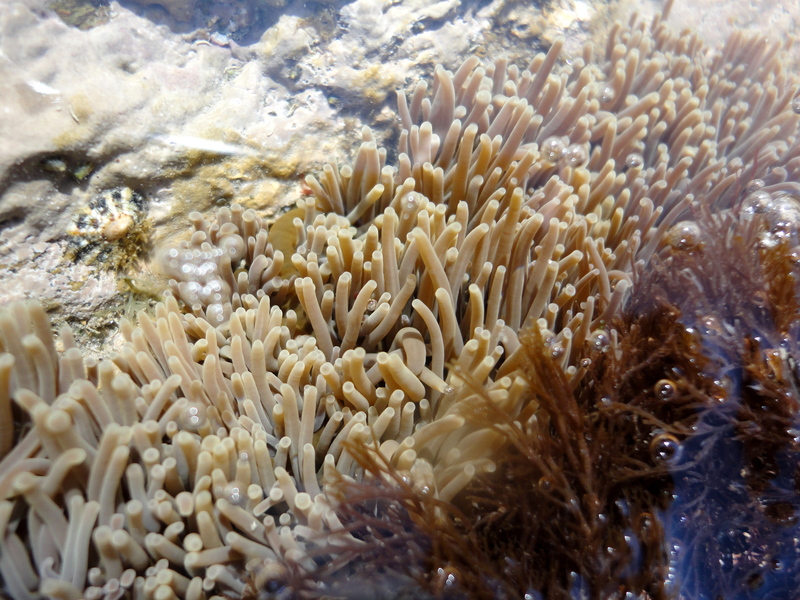 As I clambered over the rocks with my friend’s son, I pointed out shallow pools packed with snakelocks anemones and we sat awhile entranced by the tangle of moving tentacles. We were looking into a clear rock-top pool lined with pink corraline seaweed. “You might even spot rare creatures, you just have to make time to look,” I explained. 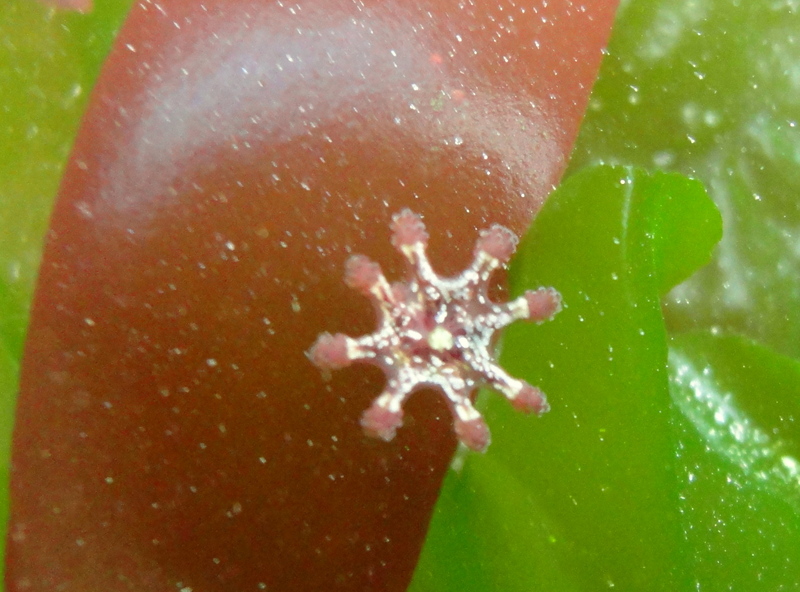 I trailed my finger gently through the seaweed a few times. Then a few times more, and a tiny star shape came into view. 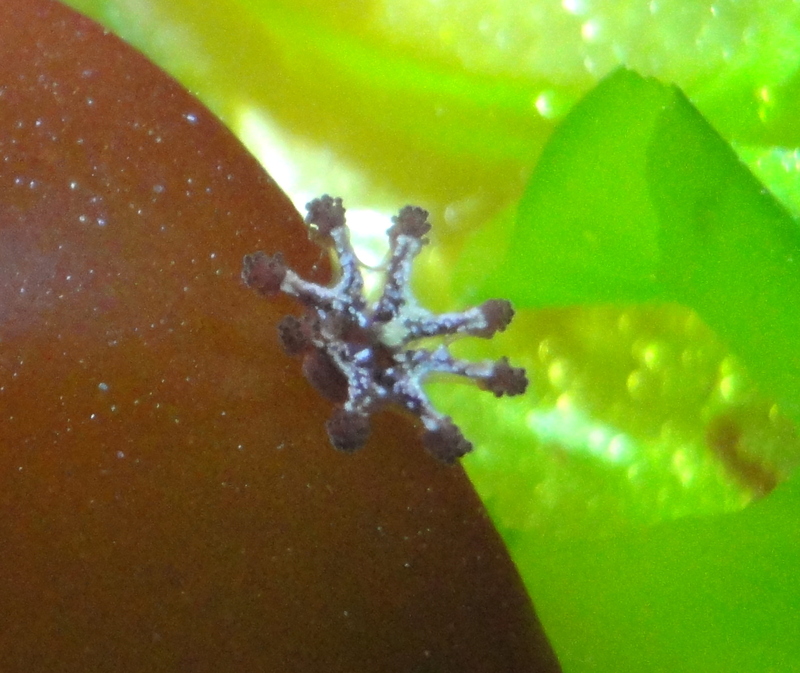 I reached in and lifted it on the tip of my finger, realising it might just be… yes, it was… an Asterina phylactica. I’m probably not meant to have favourites, but Asterina phylactica are absolutely, without a doubt, my favourite sea stars. They are decorated with dots of bright colour, like little gems. I don’t often see them and had no idea they lived here at my local beach. Of course, I was there without my camera so I went back today for some more staring. 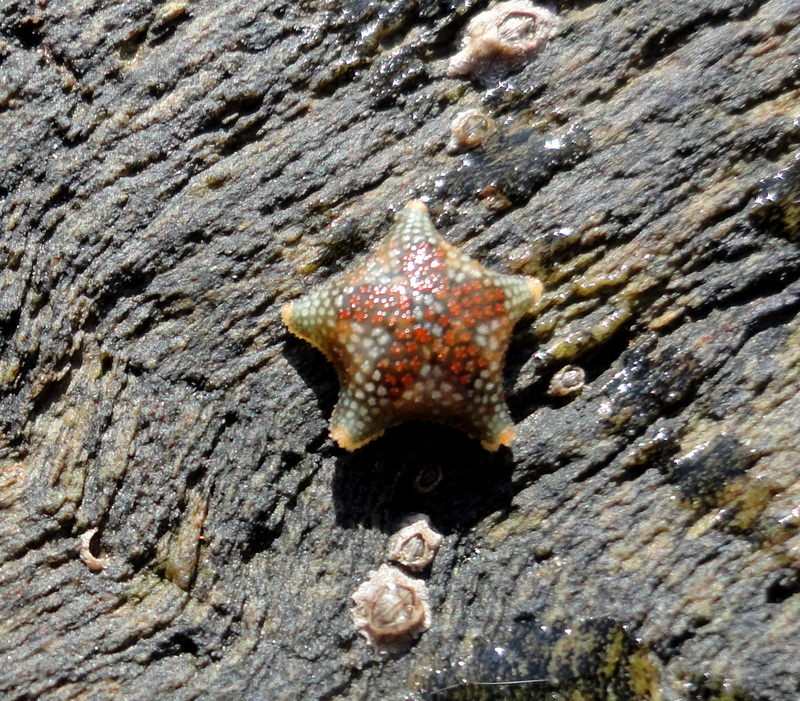 After half an hour of gazing into pools and browsing the seaweed, I finally found this little fellow. I walked out to the lower shore and stood in a welly-deep pool staring and staring some more. I’m not sure how long I was there before this little stalked jellyfish caught my eye. The Lucernariopsis cruxmelitensis is another beautiful little animal that I don’t often see. Sometimes it pays to stop and stare. If I looked away for a second, it was almost impossible to spot this stalked jellyfish again.